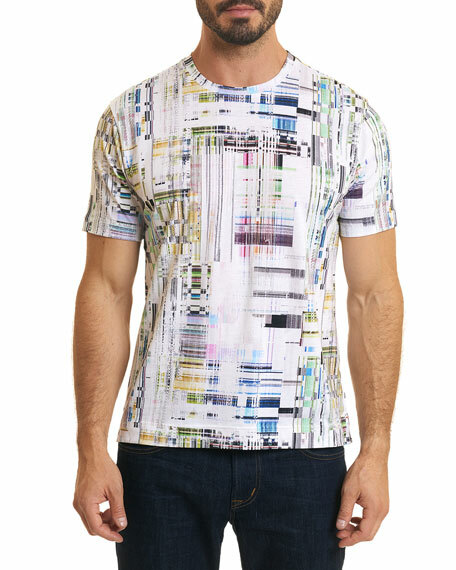 Robert Graham "Aquatic" T-shirt in graphic print. 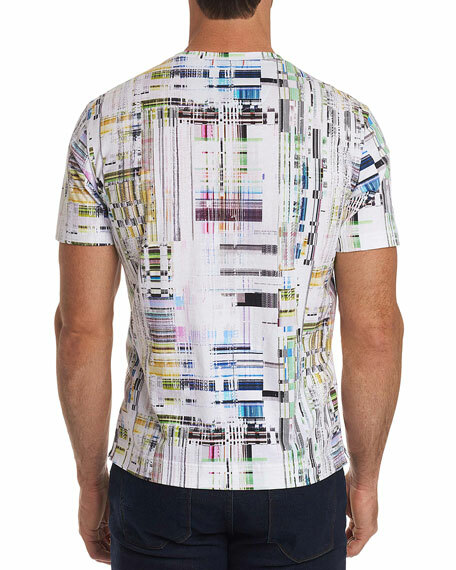 EXCLUSIVELY AT NEIMAN MARCUS Dsquared2 T-shirt with "Icon" graphic print detail. Crew neckline. Short sleeves. Pullover style. Cotton. Made in Italy. Model's measurements: Height, 6'1"/185cm, waist 30"/76cm, suit 38R, shirt 14.5x34, inseam 34"/86cm. Iceberg T-shirt with Jerry Mouse graphic. Crew neckline. Straight hem. Pullover style. Cotton. Imported. Model's measurements: Height 6'1"/185cm, waist 32"/81cm, typically wears size M.
Iceberg T-shirt with Snoopy graphic. Crew neckline. Straight hem. Pullover style. Cotton. Made in Italy. Model's measurements: Height 6'1"/185cm, waist 32"/81cm, typically wears size M.